In New Zealand the IT sector is dominated by systems focused individuals and companies who ‘know best’. Management knee jerk reaction to anthing IT is to delegate IT systems management the task of introducing IT tools and utilities. As a result you often get this sort of ham-fisted outcome. Absolutely no discussion with those who have to use the application and generally imposed within a highly locked down IT infrastructure that secures the originator a job for life. We come across it everday – the applied science of appalling GUI, web site and workflow concepts. 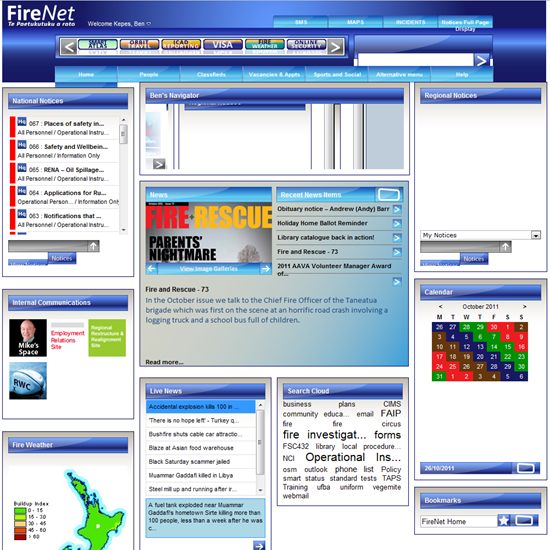 I have worked with a volunteer firefighter and have seen their intranet. We used it as a ‘what not to do’ reference when redesigning our own intranet. Unfortunately most public sector/non profits are under resourced and do not even have a designer/UI specialist. Instead of outsourcing the job or even bringing in freelancers the inhouse developers or others in IT, take care of everything. 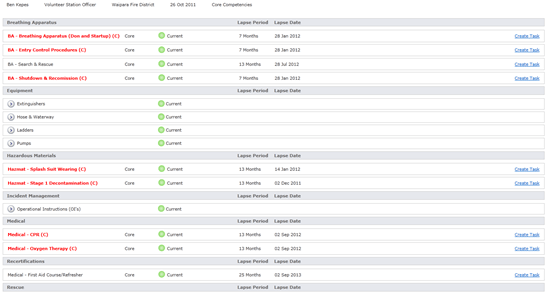 It is a real shame the product tends to only reach the final users until it goes live. We can only hope that at some point they will realise engaging with the users at the beginning and throughout the redesign process is crucial to the success of a project and for user ‘buy in’.